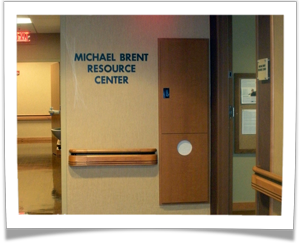 The Michael Brent Resource Center at Frazier Rehabilitation Institute was established in 2010 to address the needs of individuals and their families from the onset of spinal cord impairment and continuing throughout the life cycle. Its mission is to provide a central location where educational books, DVD’s, CD’s, pamphlets and other educational materials are housed for inpatient, outpatients, families, staff, students and others to come and learn about spinal cord impairment. The Center also provides a location for inpatients, outpatients and those in the community to meet and network with the agencies that serve them.